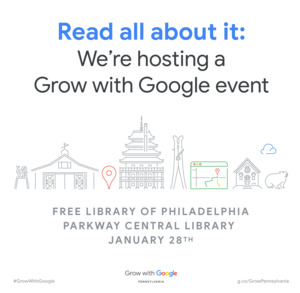 Mon, January 28, 2019 9:00 A.M.
Join Google for free workshops to help you grow your skills, career, or business. Click here for more information and to register for workshops. Monday, January 28 | 9:00 a.m. to 4:30 p.m.